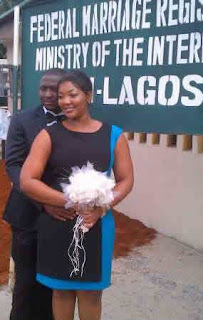 STAR ACTRESS, UCHE IWUJI SECRETLY WEDS LAGOS BIG BOY,JUWON LAWAL. Star actress Uche Iwuji is now married! The secret wedding took everybody by surprise! 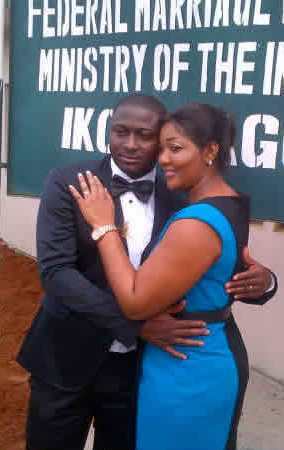 And the man Uche would spend the rest of her life with is Lagos-based businessman, Juwon Lawal. 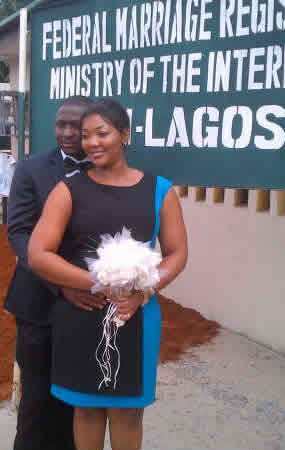 The couple formalized their union at the Ikoyi Registry, Ikoyi, Lagos today, Friday 16th, of November, 2012. Only a few friends and family members witnessed the wedding. Always a subject of media speculation and gossip, even amongst her Nollywood colleagues, Uche Iwuji’s marriage plan has been one little secret she kept close to her heart. We gathered that Uche and Juwon have been an item for some time now, both attending events and social engagements together before they finally decided to take the relationship to the next level. Close sources to the couple revealed to us that they would be heading for the altar in no distant time.